Welcome to Mrs. Brennan&apos;s 5th Grade page! 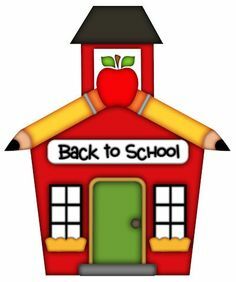 I am so excited to get the school year started. It&apos;s going to be a great year. We will be working hard and having some fun along the way. Please join me in praying for a peaceful year where we all work together to follow in Jesus&apos; footsteps. Please feel free to email me with any questions/concerns that you may have during the year. Please email the office at drexelneumannacademy.net and I will call you as soon as possible to discuss any concerns. Please note that homework and important information will be posted on this site so please check back often! We have 3:00 dismissals(Fridays are 2:30). Please make sure, that all parents picking up their children by car, are in the car line. Please move all the way up when you see the teachers waving you forward and PLEASE remind your child to LOOK at dismissal time for you. It will help dismissal move quickly!